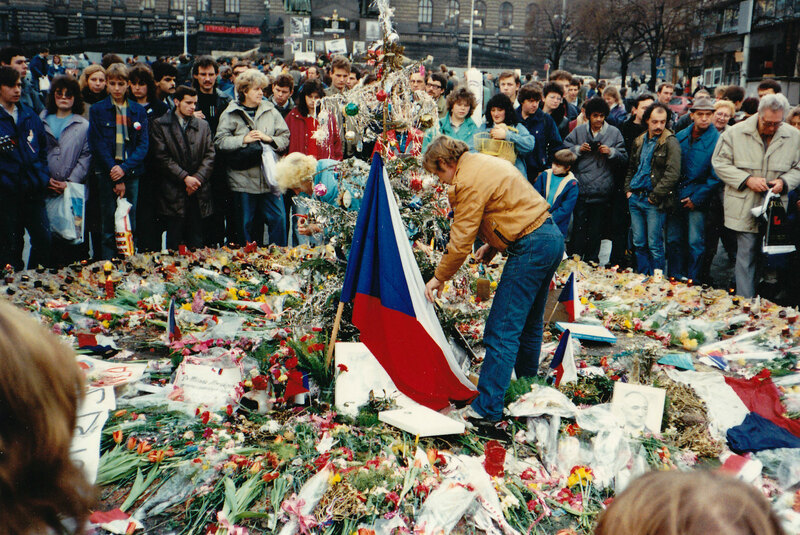 On 16 March 2018, in a scene reminiscent of the November 1989 demonstrations that brought down the communist regime in Czechoslovakia, Czechs and Slovaks once more demonstrated side by side against their governments. Although they no longer share a state, the two countries face similar problems: political corruption and a crisis of confidence in political leadership. In the Czech Republic, Prime Minister Andrej Babiš – under investigation by both the European Union and the Czech police for subsidy fraud – remains unable to form a government backed by parliament six months after his party took 30 percent of the popular vote. The Slovak-born billionaire businessman-turned-politician faces opposition not only for his allegedly corrupt practices and communist past but also for bringing the country’s police inspectorate under his party’s control. In Slovakia, neither the replacement of the long-standing prime minister, Robert Fico, who had led the country for ten out of the previous twelve years, nor the ensuing resignations of two interior ministers have been able to calm the political crisis that erupted following the murder of a young investigative journalist and his fiancée in late February. Even though the prospect of early elections was temporarily averted by Fico’s resignation in mid-March, the popular protests – the largest in Slovak history – demanding changes to the leadership of police and the public prosecution service continue. In both countries, people openly challenge current political practices and call for ‘decency’ in public conduct. In the political shakedown brought about by another year ending in ‘8’ – which have a habit of being fateful in Czech and Slovak history – links with 1989 abound. 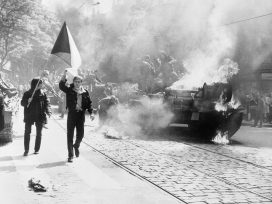 In the Czech Republic, the latest episode in the country’s ongoing political crisis began on 2 March, when the lower house of parliament elected Zdeněk Ondráček, a Communist Party candidate who had participated in the suppression of anti-regime protests in January 1989, as president of the parliamentary committee overseeing the General Inspectorate of the Security Forces (GIBS). Ondráček’s election, first attempted in December 2017, was part of a bid to secure the Communist Party’s support for the minority rule of Andrej Babiš’s pro-business, anti-establishment ANO party, which came first in the October 2017 elections but remains unable to form a ruling coalition. Amidst popular opposition to the appointment, Babiš withdrew his support for Ondráček and, after several thousand people across the country took to the streets calling for the election of a new candidate for the position, Ondráček resigned. Babiš’s alleged connections with the pre-1989 communist regime are also problematic. Although not itself proof of guilt, Slovakia’s Nation’s Memory Institute registers him as having been a communist regime informant and a secret police agent code-named ‘Bureš’ during the early 1980s. Babiš, who lost a six-year legal battle against the institute in February, denies the allegations and vows to continue fighting the decision. Under the Czech lustration law, former agents for the communist-era secret police are prevented from serving in top state and government positions. In a 5 March protest, which came shortly after the 70th anniversary of the communists’ February 1948 seizure of power in Czechoslovakia, people called for the ouster of both Ondráček and Babiš for the roles they had played in the former regime. Babiš, the Czech Republic’s second richest man, also faces criticism over misconduct related to the so-called Čapí hnízdo (Stork’s Nest) complex for which he, with the help of his family members, is alleged to have fraudulently claimed €2 million in EU subsidies in 2008. In early January, after the European Anti-Fraud Office (OLAF) found ‘irregularities’ in the project’s financing, Babiš’s former holding company, Agrofert, the largest private-sector employer in the Czech Republic and the owner of the Stork’s Nest complex both before and after its small-business subsidy claim, was removed from the list of companies eligible for EU subsidies. Babiš, unable to form a ruling coalition, resigned after his minority government failed to secure a vote of confidence in mid-January. He was subsequently stripped of his political immunity. 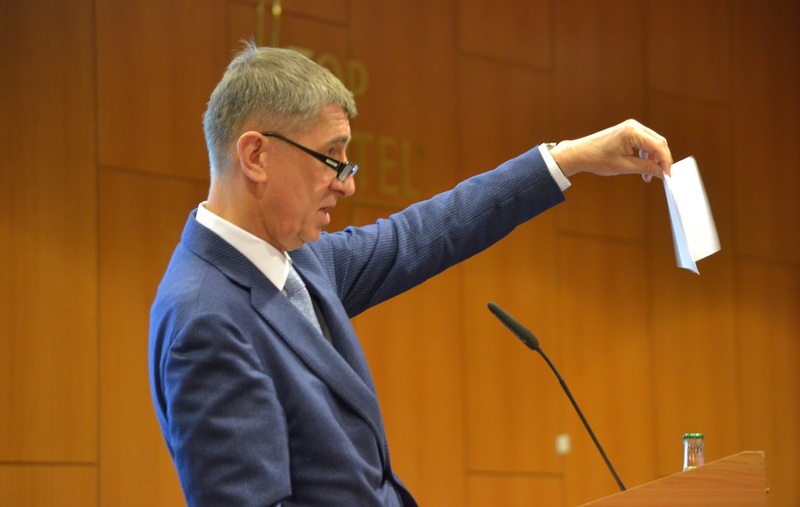 In late February, amidst the ongoing criminal investigation into him over the Stork’s Nest affair, Babiš called on the head of GIBS, Michal Murín, to step down, citing a loss of his confidence as a reason. After weeks of pressure, including the launch of disciplinary action, Murín resigned on 18 April, a day before the presidency of the parliamentary committee overseeing the work of GIBS fell into the prime minister’s party hands when Jiří Mašek of ANO was elected in place of the discredited Ondráček. Given Babiš’s investigation by the police, which falls under the purview of GIBS, many of his political opponents are crying foul. An anti-Babiš petition ‘For a decent prime minister and a decent government’ has collected over 250,000 signatures, but the billionaire politician remains popular among his 1.5-million constituency and enjoys the support of the populist pro-Russian president, Miloš Zeman, who has given Babiš until the summer to form a government despite his earlier resignation. 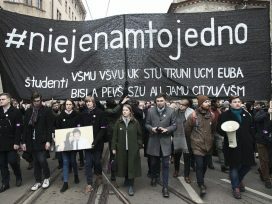 In Slovakia, the political leadership was plunged into crisis on 26 February, following the news of the deaths of young investigative journalist, Ján Kuciak, and his fiancée Martina Kušnírová, both 27. Their brutal murder, most likely connected to Kuciak’s journalistic work, shocked the country. No journalist had previously been killed in Slovakia, even during the turbulent 1990s, when the then-US Secretary of State Madeleine Albright famously referred to the country as a ‘black hole in the heart of Europe’. Kuciak was investigating political corruption among people close to the ruling Smer, a populist, pro-European party led by Robert Fico, a skilful politician who combines leftist popular welfare measures with right-wing nationalist and anti-Muslim rhetoric under the label of social democracy. In his last, unfinished article, published posthumously, Kuciak detailed alleged links between the Italian mafia and individuals in Fico’s inner circle, specifically the secretary of the State Security Council and former Smer MP Viliam Jasaň and Fico’s chief state advisor Mária Trošková, a former model. Both had business ties to Antonino Vadala, an Italian businessman living in eastern Slovakia who is alleged to have connections to the notorious ‘Ndrangheta organized crime group from Calabria.1 Fico, Interior Minister Robert Kaliňák, and the country’s police chief, Tibor Gašpar, hurriedly offered a €1-million reward for information about the murder, theatrically displaying the amount in cash during their press conference. The following day, after Kuciak’s last article was published, Jasaň and Trošková took a leave of absence and the Smer-nominated culture minister, Marek Maďarič, under whose purview the mass media fell, resigned. This was not enough. 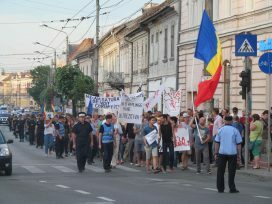 Tens of thousands of Slovaks took to the streets on 2 March, both at home and abroad, to commemorate the couple and demand the prompt investigation of their murders as well as other corruption cases that Kuciak had written about. President Andrej Kiska, in his first public appearance since the murders, called for a radical restructuring of the government or early elections to address the public’s mistrust towards the state and its representatives. A defiant Fico responded by warning of a planned coup and suggesting that the president’s statement bore the mark of George Soros, the Hungarian-American investor and philanthropist, with whom Kiska had met in September on the margins of the UN General Assembly in New York. The week after, a public prosecutor who faced disciplinary action following his investigation into allegations against two senior Smer members, including Kaliňák, filed a criminal complaint against the minister, as well as the chief of police, the director of the National Criminal Agency, and the director of the National Anti-Corruption Unit, alleging an attempt to discredit him and thus obstruct the investigation of a politically sensitive case. Kaliňák’s refusal to resign, together with the mistakes made by the police chief in handling Kuciak’s case and Fico’s conspiratorial rhetoric, drew over 100,000 of Slovakia’s 5.4 million inhabitants onto the streets on 9 March. The controversial interior minister, who had already been the target of regular anti-corruption protests calling for his resignation for nearly a year, finally stepped down three days later. On 15 March, Fico himself was forced to hand in his resignation after a junior coalition partner, Most-Híd, threatened early elections. His defiant attitude, evident both during his departure and in his promise to continue being actively involved in politics ‘as the leader of the strongest coalition party’, helped draw an even larger crowd on 16 March, signalling the public’s desire for deeper, more systemic changes. Pellegrini also faces opposition over his choices for minister of interior. His first suggestion, Jozef Ráž Jr, a Health Ministry official and son of a popular musician, was rejected by the president after his friendship with Kaliňák, the former interior minister, emerged. His replacement, Tomáš Drucker, an independent crisis manager who served as health minister for Smer, resigned after less than a month, during which he faced criticism over the business activities of his wife. Claiming to see no reason for the police chief Gašpar’s removal, one of the main demands of the continued popular protests, but a move strongly resisted by both Fico and Kaliňák, Drucker stated that he had decided to leave his post because the topic continued to polarize society. Prime Minister Pellegrini, who temporarily took over at the Interior Ministry, subsequently announced that Gašpar would leave his post at the end of May. The latest nominee for the interior minister, Denisa Saková, previously a deputy minister, is widely perceived as Kaliňák’s right-hand woman. Her appointment is thus unlikely to satisfy the opposition or the protesters, who have once more begun demanding early elections. In the meantime, the European Parliament passed a resolution urging better protection of journalists and whistle-blowers and an independent investigation of the double murder. After a month of negotiations, an international team of Slovak, Italian, Europol and Eurojust representatives was approved on 18 April. Despite the substantial public attention focused on the investigation, as well as the involvement of international experts over the last two months, no significant progress has so far been reported. Although the political crisis in Slovakia is significantly deeper than the one in the Czech Republic, they share a number of important similarities. Second, early elections do not seem to present a clear solution to the current political impasse. Although the main political parties in both countries face substantial political opposition both inside and outside parliament, this has not translated into a significant increase in support for their political rivals. Early elections would therefore be unlikely to change much. In the Czech Republic, Babiš’s ANO maintains 30-percent support in polls4 and the party has renewed its negotiations with the Social Democrats, who are eager to prevent ANO’s alignment with the Eurosceptic, anti-immigration Freedom and Direct Democracy party. In Slovakia, Fico’s Smer has recently dropped from 25 to 20 percent,5 a 15-year low. Although this would mean that the ruling coalition would likely lose its majority, it remains unclear whether the current opposition would be able to form a government. Elections nonetheless remain a possibility in both countries. Half of the population in the Czech Republic favours early elections6 and Babiš might want to pursue this option if the talks with the Social Democrats fail, while in Slovakia calls for early elections are growing louder from both the opposition and the streets amidst the failure of the new government to implement sufficient changes. Indeed, as the Czech and Slovak experience since 1989 shows, building a democracy is a long process. It takes a while to gather momentum and even longer to take root. 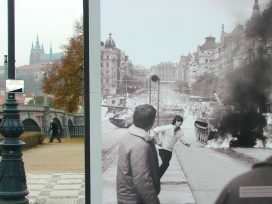 Even in the middle of the eleven days of protests in November 1989 that eventually brought down the communist regime in Czechoslovakia, most people expected the transition to take at least one year.7 Following the revolution’s swift success, most people disengaged and left politics to others. After seeing what such an approach brought about, many are wary of making the same mistake in 2018. Popular pressure works, when sustained. Democracy, after all, is not something that is achieved once and for all but an ideal that needs to be persistently striven for. It requires an active citizenry and rigorous scrutiny of public affairs. There are many positive signs that this is happening both in the Czech Republic and in Slovakia. 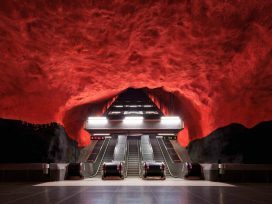 In a region overtaken by illiberal tendencies, these provide a glimmer of hope. 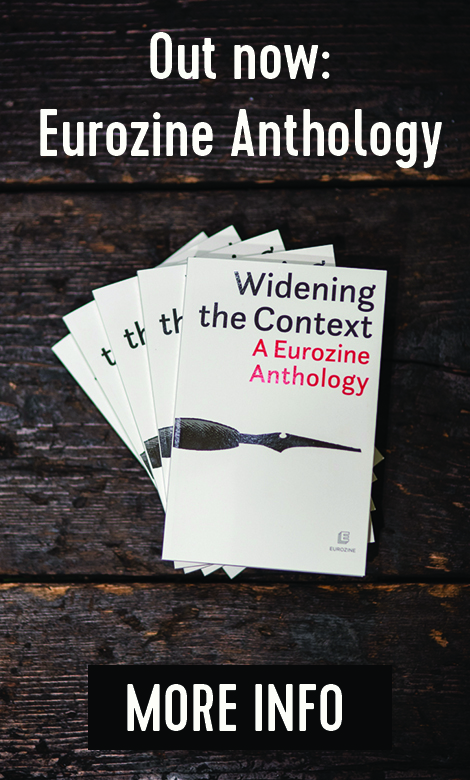 The ‘Ndrangheta, whose operation is worldwide, was described by Europol in 2012 as ‘the most dangerous and widespread of the Italian mafias.’ Its illicit annual revenues were estimated at €44 billion in 2013. December 2017 study by specialized Czech forensic agency Surveilligence. Median agency survey for Czech Radio, March 2018. Focus agency survey for TV Markíza, January and March 2018. Public opinion poll conducted on 23-24 November 1989, Czech Security Services Archive.